Sick of opening Facebook in your browser, just to use chat? Current for Facebook is a Mac app that brings your favourite social network to the OS X desktop. Once installed your chats live in their own windows, notifications can be explored from the menubar and media can pop-out from your timeline into its own dedicated window. Put simply, this the closest thing out there to a complete Facebook client for Mac. Twitter offers a Mac client Twitter Adds Embedded Images & Profiles To Official Mac App Twitter Adds Embedded Images & Profiles To Official Mac App Twitter's Mac app brings a number of updates. Users can now preview images in the timeline, check out a user's profile and quickly see more details about any tweet – all without leaving the app. Read More ; Facebook doesn’t. 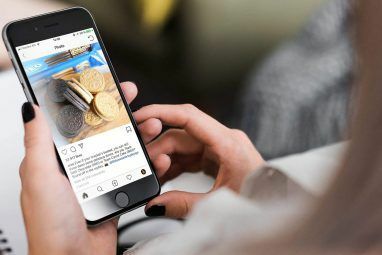 Current’s unofficial offering isn’t a direct analogue for Twitter’s desktop app – browsing your Timeline, for example, takes place in a dedicated browser. But in many ways Current does succeed in yanking key parts of the Facebook experience into the desktop environment, and at $2 (as of publication) is well worth checking out. Let’s get started by talking about messaging. 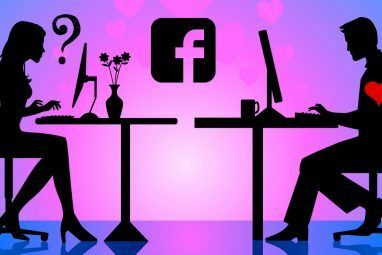 We’ve shown you how to chat on Facebook from the comfort of your desktop How To Chat On Facebook From The Comfort Of Your Desktop How To Chat On Facebook From The Comfort Of Your Desktop From the first days of public Internet, it's been a long and winding road for chat. From Web chats that were nothing but forums, to ICQ and IRC, to MSN Messenger and Google Talk, and... Read More , and even how to see and respond to Facebook IMs in Messages for Mac How To See And Respond To Facebook IMs in Messages for Mac How To See And Respond To Facebook IMs in Messages for Mac Love Facebook chat, but don't want to leave Facebook open for fear of entire days disappearing? Here's how to integrate Facebook's chat service with Messages.app and more. Read More , but there are some downsides. For most of these services offline messages aren’t entirely supported, and group chats don’t really show up at all. None of these limitations apply to Current, which gives you the complete Facebook chat experience. Every conversation gets its own window, which you can arrange however you like. To me, this is the killer feature of Current. If something works in Facebook chat, it works here, but you don’t need to keep a Facebook tab open to look at it. This means you can keep a conversation going without getting lost into the deadly timesink that is your timeline. Of course, you can also get lost in the timeline – if you want to. At first glance, the timeline in Current looks identical to Facebook in your browser. And it basically is. What is new is the way media is handled. Photos, for example, still become larger when clicked – but they’re also sent to their own dedicated window. This means you can leave a photo album open in one window while continuing to browse your timeline in another. This also works for videos. Pop the video out to a new window and you can passively watch it while scrolling through the rest of your timeline. Facebook isn’t just about scrolling through content – it’s about interacting with your friends. Notifications make this easier, because with them you know when someone’s talking to you. Current makes Facebook’s notifications easier to access – just click the menubar icon. You’ll see the complete list of notifications here, exactly as they appear in Facebook. This is useful, because Facebook’s integration of OS X excludes some notifications (most notably, notifications for pages). Click any notification and you’ll be taken straight to the conversation in question. There are a few things Current lets you configure. You can control what shows up in the Notification Center, for example. You can also the notifications window from the menubar, if you want. 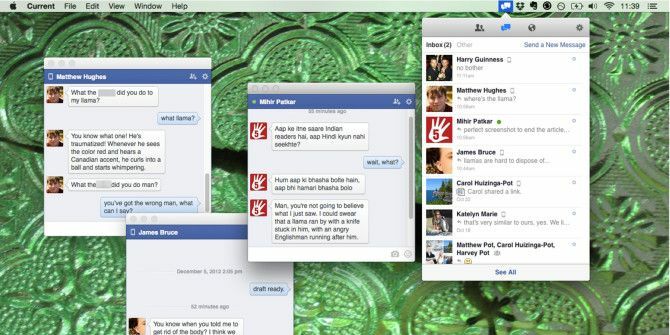 Facebook toyed with the idea of a Mac client back in 2009, but they didn’t stick with it. That’s too bad, but Current does a much better job than the official offering ever did. Regular readers might know I’m not the biggest Facebook fan. Were it not where my family spent most their online time, I’d probably avoid it altogether. An app like Current means I don’t have to open Facebook to notice when someone is trying to start a conversation with me. I’m going to keep this installed for that reason alone, but we want to know what you think. Could you use a dedicated Facebook client for Mac? Indeed he should, Swetank, indeed he should.